This book is really two threads that intersect at various moments. There are two angels in the relationship division of heaven who place a bet that promised to affect their careers for the rest of time. Their pet project, Riley and Iris, two humans who may or may not be soulmates. It is interesting how the story switches from heaven to earth and back again, several times. The budding romance between fireman Riley and accident prone Iris is sweet and funny. It features a crumbling house, a crooked real estate developer, rambunctious pets and fire. All the while the angels watch, comment and interfere as required. 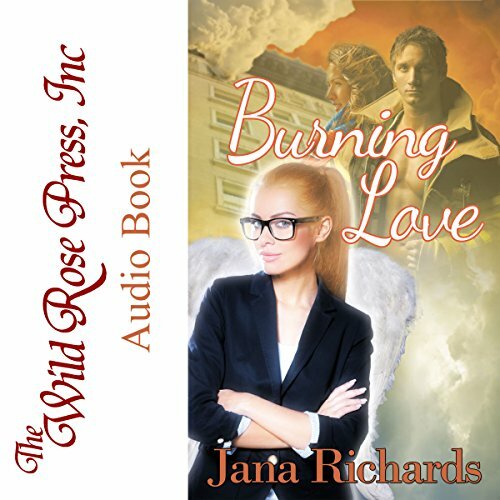 I enjoy how Jana Richards can make a short audiobook rich with humour, action, emotion and details without making the story overwhelming. Her stories are big on the feel-good factor and don't require a heavy commitment in time. Overall, very enjoyable.